Help! I'm a Volunteer Youth Worker! 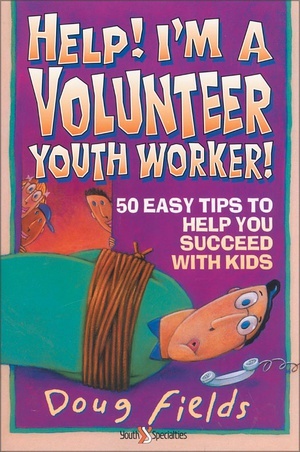 Containing fifty concise, practical suggestions for youth work that will encourage and enable volunteers, this text is also a valuable asset to the professionals. Whether you're an old hand at youth work or you've just signed on, Help! I'm a Volunteer Youth Worker! gives you the basics for successfully reaching teenagers. These fifty, bite-sized suggestions are easy to remember and put into practice. They include tips on: - How to build relationships with students - How to recruit and train other volunteers - How to get along with the pastor and youth director - How to model Christian love to your students -- If you're a professional youth worker looking for new ways to encourage and empower your volunteer youth workers, just hand them a copy of Help! I'm a Volunteer Youth Worker! And don't forget to consult this book yourself -- because you're guaranteed to find great ideas for youth work that maybe even you hadn't thought of. Zondervan is an international Christian communications company with a heart for helping people find and follow Jesus Christ by inspiring them with relevant biblical and spiritual resources. They do this through their bestselling, award-winning, and life-changing products. Zondervan leads the way in Bible and book publishing, and they continue to expand their resource offering. They are working to become an even greater contributor to the international Christian marketplace. Today they offer a wide variety of resources for all ages. Their products include Bibles, books, audio resources, ebooks, videos, CD-ROMs, digital downloads, and inspirational gifts.